When you visit Denver, it’s always important to make it a point to have a way to get around. There’s nothing worse than being stuck at your hotel because all of the taxis or private drivers are busy. 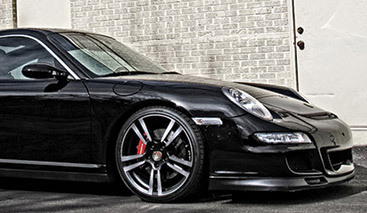 If you’re visiting Denver, go ahead to check out the Porsche rentals available at Klasse Auto Rentals. We have the luxury rental cars you’ve always wanted to drive, so why not drive them now? One of our most popular cars to rent is our Porsche rental car. The Porsche 911 C4 is perfect for someone looking to get away for a weekend to explore the roads of Colorado. Whether you’d like to take this sports car up I-70 to experience the hot springs in Glenwood Springs, or you’d like to drive up to Fort Collins to visit their most popular breweries, this car can get you there. With leather interior and a sunroof, you’ll be able to enjoy the great outdoors while cruising down I-25. Take I-25 north or south to get to know the front range. There are plenty of places to go, things to see, animals to view, beer to drink and food to eat! All you have to do is reserve your car now! What’s keeping you from scheduling your vacation? Get away in Denver, Colorado and reserve the Porsche rental of your dreams here! To learn more about our rentals in our fleet, visit our vehicles page here. Contact us with any questions or concerns about your reservation.